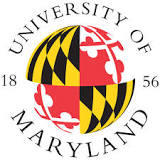 BALTIMORE (AP) - A Baltimore City Circuit Court judge has ruled that more than 100 Maryland university alumni were unlawfully denied in-state tuition rates and will share in a $1.6 million recovery against the state. The Daily Record of Baltimore reports that Judge Althea M. Handy's order Thursday ended 13 years of litigation that began with a University of Maryland School of Law student saying she was unfairly charged an out-of-state tuition rate even though she moved to Maryland after enrolling. The plaintiffs grew to a class of students and alumni suing the state's university system for similar practices at several schools. Attorneys say the class members will each receive tuition refunds or student loan reimbursements of between $1,212 and $71,445.